What is a "religious" Jew? What is Religious Humanistic Judaism? 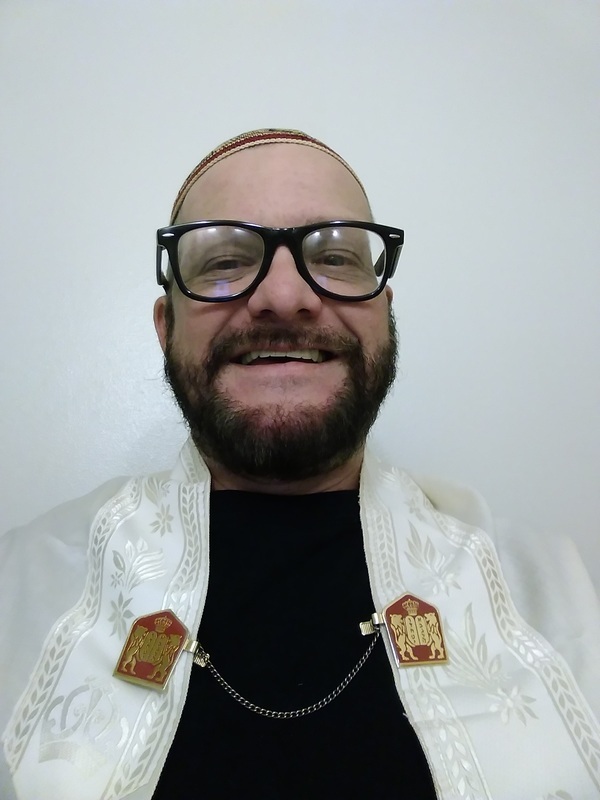 Rabbi Yaakov Litman brings his unique talents and gifts,with over 32 years of ordained clergy status and experience,to help you with your individual wants and needs. Rabbi Litman's journey started with his ordination,in 1986,within the Christian faith tradition.After his pursuit of Holy Orders within the Independent Sacramental Movement(Independent Catholic),he was ordained to the diaconate in 1993 then Presbyter(priest)in 1996. From there he then became a seeker in all religious faith traditions,accepting several non-dogmatic, theologically liberal, ordinations along the way, including memberships in several Eastern religions which was culminated with a Jukai Ceremony in the Buddhist tradition. Because of his family background,Judaism always stood in the forefront of his mind.Even while maintaining his Orders,he joined and participated in several Jewish congregations.In 2010 Rabbi Litman finally resigned the priesthood and "officially" converted to Judaism and had his adult Bar Mitzvah,as you can see here. In 2011,due to his unique circumstances,Rabbi Litman received his "smikhah"(Jewish ordination) as an Interfaith Rabbi,with a special mission to unaffiliated and disgruntled Jews,by Unitarian Ministries International(defunct). Finally Rabbi Litman found his "home" in Polydox Judaism(multiple beliefs, with the individual as the sole authority) and today finds that best expressed in the Humanistic Jewish movement. His current smikhah is with the Church of Spiritual Humanism. An article mentioning the church can be found here. from the Life Coach Training Institute. "This is it or Spiritual Pointers for LIFE to LIFE from LIFE", and "What is Enlightenment"
currently available at Amazon and again at Amazon. Rabbi Litman plans more books on alternative relationships, as well as disabilities (fibromyalgia). Rabbi Litman's views,within Polydox Judaism (the creation of the late Rabbi Alvin J. Reines), identifies himself an atheist, particularly about the Judeo-Christo-Islamic God myth but in his heart he is a transtheist. He has become very involved in the area of Nonduality. Rabbi Litman can and will meet individuals(secular and religious) wherever they are at in life. He knows how complicated weddings and life events can get(especially with family). However, in good conscience, he cannot and will not do any kind of God-language services. Life, Nature, The Universe, etc...is acceptable. Please feel free to contact Rabbi Litman 24/7 at TheFreeThinkingRabbi@hotmail.com .Please use services in the subject area of any email that you send.He will get back with you ASAP to set up a phone consultation when necessary.